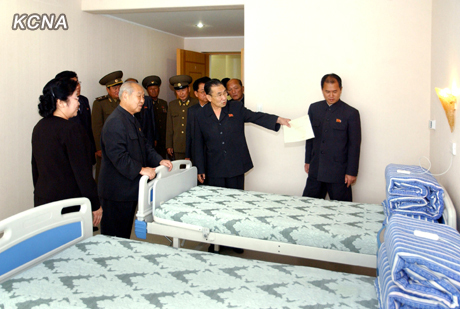 The Pyongyang Maternity Hospital was dedicated and opened in July 1980. 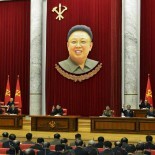 It has been cited in the official chronicles as one of Kim Jong Il’s accomplishments. 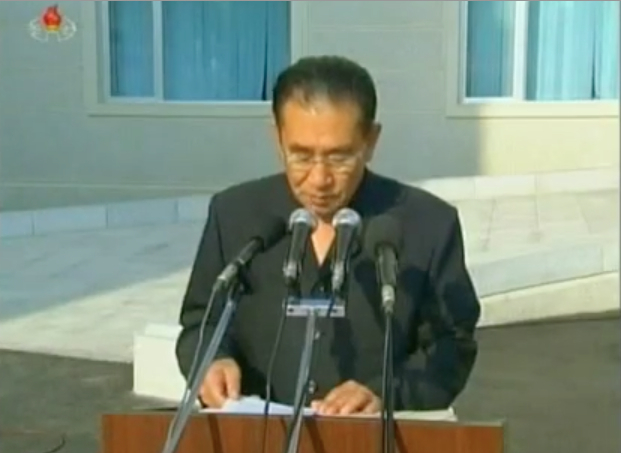 Construction was completed before the 6th Party Congress in October 1980 and used to underscore KJI’s formal designation as Kim Il Sung’s successor at the party congress. 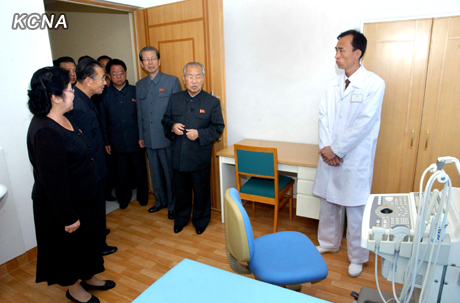 KJI’s primary motivation to building the Pyongyang Maternity Hospital was personal because his mother Kim Jong Suk died from complications of an extrauterine pregnancy. 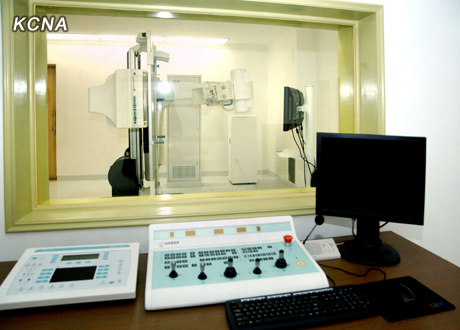 The construction and dedication of the hospital’s mammography research institute has a similar personal significance for Kim Jong Un whose mother Ko Yong Hui died breast cancer. 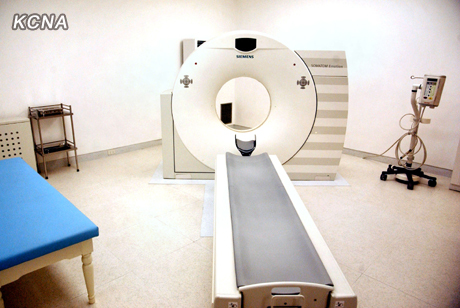 That MRI is a Siemens Somatom Definition, with a price tag of roughly $3 million. 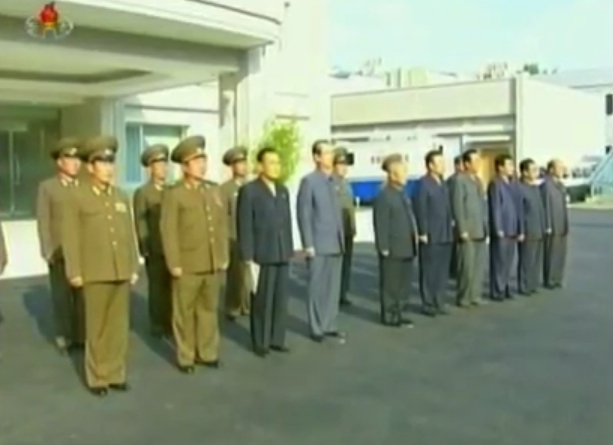 This entry was posted on 10/09/2012 by nkleadershipwatch in capital construction, Central Committee, Choe Tae Bok, Choe Yong Rim, critical infrastructure, DPRK Cabinet, DPRK Premier, Events Management Section, Kim Chong-un inspections, kim jong suk, Kim Jong Un Visits, Kim Jong-il, Kim Jong-un, Korean People's Army (KPA), Korean Workers' Party (KWP), KPA construction battalions, KPA construction brigades, KPA General Political Bureau, KPA General Political Department, KPA General Staff, KWP Science and Education Department, Ministry of Public Health, Mun Kyong Dok, North Korean press, Party elders, Political Bureau, Provincial Party Committees, Provinicial People's Committee, Secretariat.